Try yoga for 1 week FREE. At the end of your free trial, unless you tell us otherwise, pay by 2 monthly payments of $49.50. 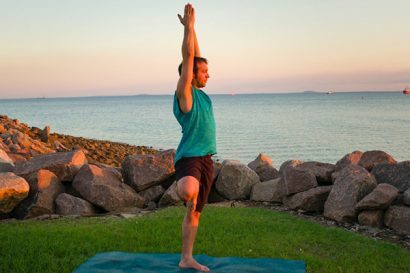 Flametree Yoga Studio are offering a unique opportunity to discover yoga with up to 78 introductory yoga classes for just $99. That’s as little as $1.83 per session with our special early bird deal, a great way to discover the many benefits of practicing yoga! Please note you will be need to book and supply a credit card before coming to our one week free trial. Debiting will start after a week the course starts unless you email us that you do not wish to proceed. We are very happy to give you up to 13 free classes over that trial week, but we have found this system is needed in order to prevent abuse by a small number of people who have no genuine interest in possibly proceeding.